– All packed in a sturdy metal box Dimensions and Specifications The Owner’s Manual I received with the XF-130 is, for the most part, accurate in its descriptions and instructions. 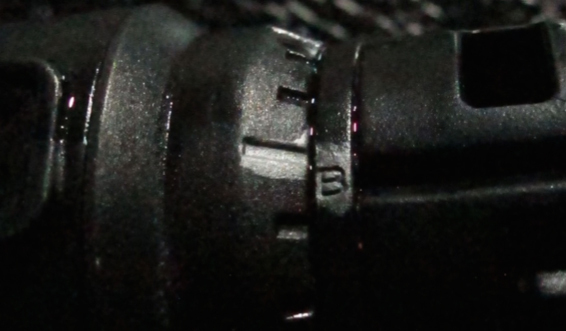 However, the Dimensions listed are for the XF-130’s ‘big brother’ XF-150 pump. 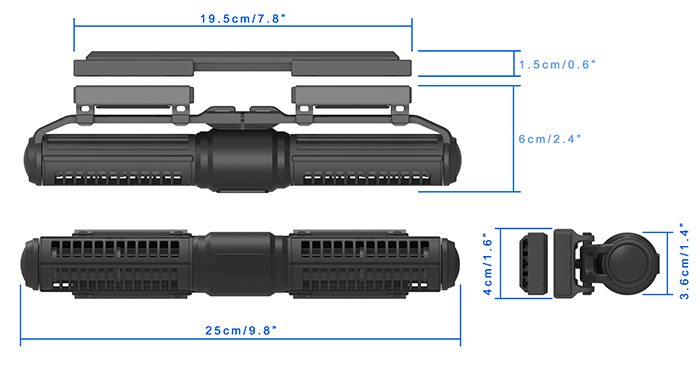 Product dimensions from the manufacturer. Output Voltage/Input to Controller: 24v DC Controller The controller for the XF-130 is easy to use. It consists of two buttons and a rotary dial. See Figure 1. Mode of operation is selected by depressed one button, and entered into memory by depressing the second. The rotary dial selects pump speed (on a scale of 1 to 10.) 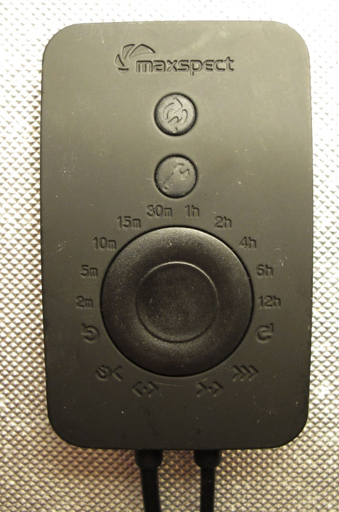 The dial is illuminated with blue LEDs and is easy to read even in subdued light. The power cord length from the pump to the controller is generous (about 80”) and allows it to be placed safely away from the aquarium and potential water damage (it is not water proof.) A plastic cradle is supplied for the controller which allows convenient storage. On another note, the transformer is another 5 feet from the controller. This is important since the transformer (as with all such devices) generates some heat and the long cord length lets the hobbyist place it well away from the aquarium. The memory of the controller is non-volatile. Figure 1. The controller for the XF130. Water Movement Options The controller for the XF130 allows several options to the hobbyist: Constant Speed, Pulsed Flow, and Alternating Flow. Pump speed (rpm) is adjustable in each of these modes. There is also a “Feeding” mode. Constant Speed As this mode’s name states, this option operates at the pump at a constant speed (which is adjustable on a scale of 1 to 10, with 10 producing the most flow.) Using the formula discussed later in this article, I found the maximum flow rate to be a respectable 2,614 gallons per hour. See Figure 2 for gallons per hour moved by this pump at various speed settings. Figure 2. These are calculated flow rates with the magnetic flow sensor placed 1/8” away from the discharge. The Gyre pump, in constant speed mode, lives up to its name as it can produce gyre flow patterns. See Figure 3. Figure 3. This pump, in constant speed mode, can indeed produce a gyre as fluorescent particles in this time exposure photo indicate. 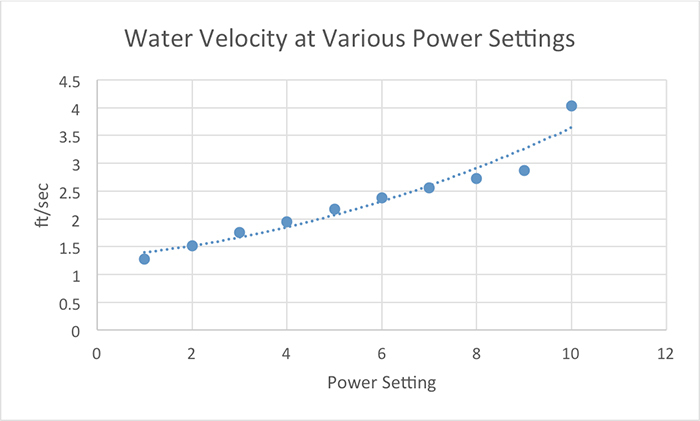 Flow Velocity Although flow rate (in gallons per hour) is the standard metric in reporting pump performance, it has very little practical meaning. Since Flow = Velocity times Area, it follows that increasing the discharge size of a pump, while maintaining the same velocity will reduce observed flow rate. Hence, it is water velocity that is truly important. See Figure 4. Figure 4. Water velocities were measured with an electronic water velocity meter with the sensor placed ~1/8” from the pump’s discharge. Maintaining velocity at distance from the pump discharge is important. See results of velocity testing in Figure 5. Figure 5. Many corals are exposed to water motion of 0.5-0.75 feet per second (at least on leeward Hawaiian reefs during periods of calm weather.) Note that water motion direction becomes erratic at about 24 inches from the discharge. This is due to water pushed to one end of the aquarium trying to return towards the side of the pump. 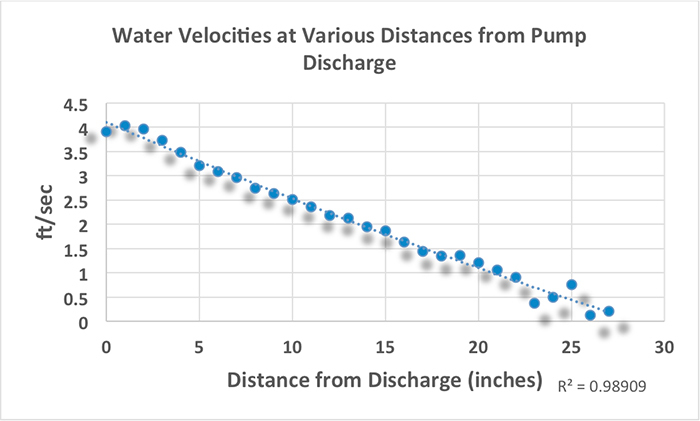 It is interesting to note that water velocity is almost linear to a distance of about 24 inches from the pump discharge. At this point, flow direction becomes slightly erratic. This is not unusual as it has been observed in test results of all other pumps I’ve examined. Pulse Mode Pulse Mode delivers an oscillating flow when the timing of the off/on cycle is programmed correctly. See Figure 6. Pulse Mode generated waves up to ~3” in height in the 55-gallon test tank. See Figure 7. The Gyre pump consumed about 10 watts in this scenario. Figure 6. The Gyre pump produced an oscillating flow during this test. 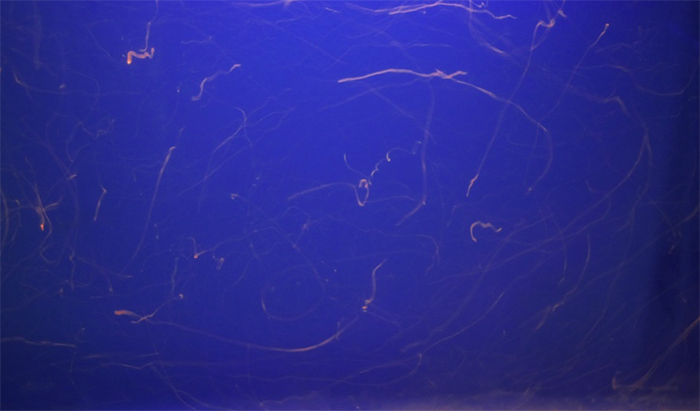 Fluorescent particles trace the pattern of water motion in this time exposure. Interestingly, the position of the pump (shallow v. deep) makes a difference in wave height. In addition, the length of the pulse can be varied from 0.4 second to 30 seconds. A Note on Pulse Mode Though I’ve never had any problems with structural integrity of any aquaria where I used a pump generating oscillating flow, hobbyists should be aware that it is possible that the back-and-forth water motion could stress glued joints resulting in failure. Proceed with caution. See Figure 7. Figure 7. The XF-130 can produce waves, as seen in this photo of the test aquarium. The flow velocity sensor is seen in the upper right. Alternating Flow Alternating flow is an option offered by the XF-130 pump. In this scenario, the pump motor turns the squirrel cage in forward direction and then in reverse. Generally, impellers (some, not all) are designed to rotate in only one direction. The Gyre pump is not an exception to the rule and ‘reverse’ water motion is relatively poor when rotors ‘A’ and ‘B’ are installed in their respective positions. However, it is possible to exchange rotors (as installed with the unit) with one or both of the supplied spare rotors. With that said, forward flow and reverse flow pulses are independently adjustable for speed and duration. Combined this with the rotor combinations and it is quickly apparent that flow adjustments are practically unlimited. Feeding Mode Feeding mode will temporarily stop the pump to allow feeding. It starts automatically after 10 minutes. Maintenance Routine maintenance of any pump should be a way of life for reef hobbyists. Generally, periodic cleansing of pump with a soft bristle brush followed by a soak in vinegar (5% acidity, or thereabouts) should be sufficient. I read customer reviews and found one that said diluted muriatic acid should not be used as it is too aggressive and damages the pump. It is a good idea to mark the position of the cages and their relation to the motor in order to quickly reassemble the pump in correct position. Note that rotors (impellers) and cages (volutes) are marked as ‘A’ and ‘B’ – pay close attention to the owner’s manual (page 17 in my book.) A silver Sharpie marker works well. See Figure 8. Figure 8. Look carefully – the cages and rotors are marked with either an ‘A’ or ‘B’! Note alignment marks made with a silver permanent marker. Power Consumption Power consumption is sometimes the hidden cost of long-term use of an electrical device. More power consumed sometimes results in more heat transferred to the aquarium water. 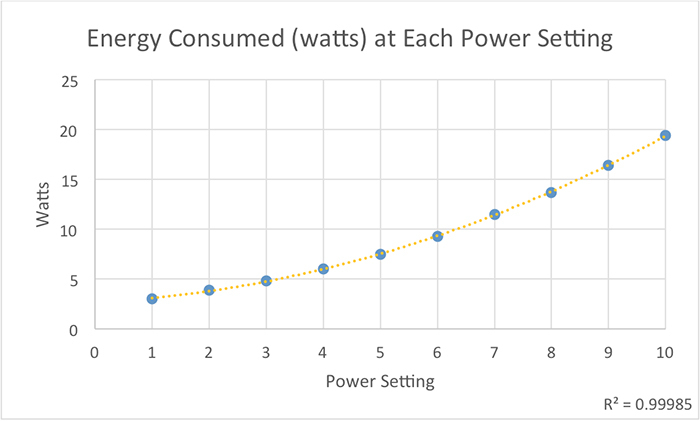 See Figure 9 for power consumption at various power settings. Figure 9. Approximate energy (in watts) consumed by the XF-130 Gyre pump at various speed settings. 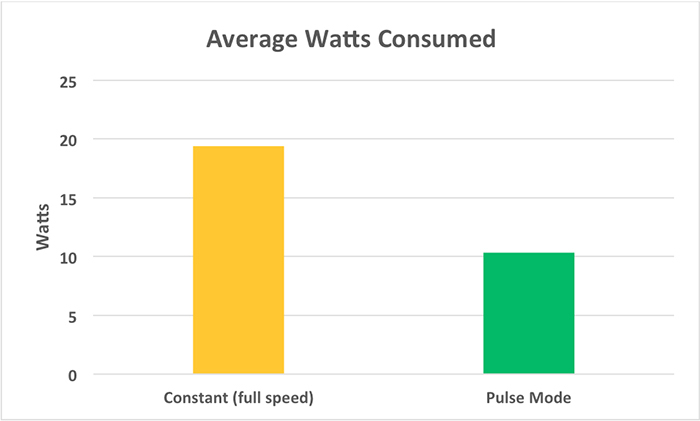 Figure 10 is a comparison of power (in watts) consumed by the XF-130 in ‘constant’ and ‘pulse’ modes. Figure 10. Power consumption in either mode is remarkable low. Sound Level As any snorkeler or SCUBA diver knows, reefs tend to be relatively quiet environments. And unusual amounts of noise tend to distract from the beauty of artificial reefs. 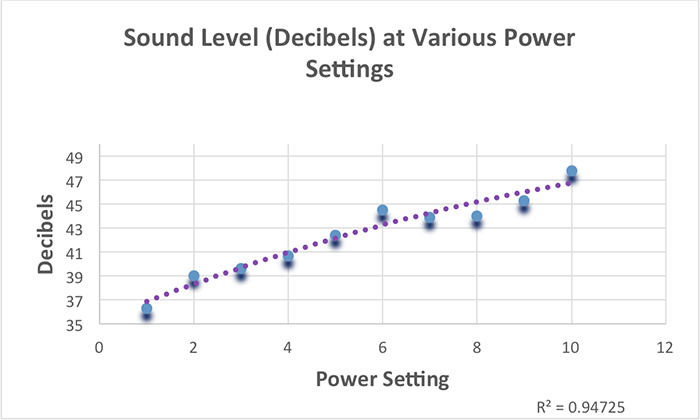 Sound levels (in decibels) were recorded with a decibel meter. This device was placed on the outside of the aquarium just a fraction of an inch from the pump (an aquarist would have to place his/her ear to the glass to replicate this distance.) The room was made as quiet as possible, an ambient measurement was made, and the pump was turned on. Pump speed was increased incrementally, and more readings were taken. To my ears, pump noise was not discernible until it reached about 40 decibels (but then I abused my hearing with more than a few rock concerts during a misspent youth.) Figures 11 and 12 shows the results of testing in various operational modes. Figure 13 gives us an idea of how to interpret these numbers. Figure 11. Sound level of Gyre pump at various power settings. Ambient noise in the room (with pump off) was ~37 decibels. Figure 12. Sound levels as the Gyre pump ramps up and down in Pulse Mode. Figure 13. 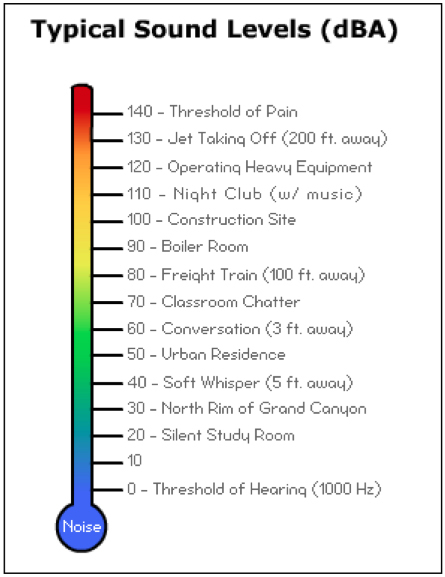 Sound levels (in decibels) in common environments. Magnetic Coupling: Maximum Glass Thickness Magnetic coupling of the internal pump device and the external magnet is important as it holds the entire apparatus in its desired position. Maxspect recommends aquarium wall thickness should not exceed ¾” (19 mm.) Testing Procedure The Maxspect Gyre device was installed in a 55-gallon aquarium (48”x19.5”x 13.5” or 123 X 49.5 x 34 cm) filled with freshwater. Water velocity was measured with a FloMate 2000 electronic water velocity meter (Marsh-McBirney, Frederick, Maryland, USA). To arrive at gallon per hour, velocity measurements were plugged into this formula: Flow (Gallons per Hour) = Velocity (inches per second x 60 x 60) x Discharge Area (in square inches) / 231 Power consumption was determined through use of a Kill-A-Watt electrical monitor (P3 International.) Noise, as decibels, was measured with a Spier Scientific Sound Level Pen #840018. Price I shopped around some and the best price I found was $216.99 US, plus tax and shipping. Conclusions The XF-130 continues a tradition established by its larger cousin (the XF-150): Good water motion at a reasonable price. These devices have operated reliably based on 10 months experience with the XF-150 and 6 months with the XF-130. Magnetic coupling of the pump and external magnet is easily accomplished, something I found sometimes difficult to achieve with certain competing brands of magnetically-coupled propeller pumps. The risk of the internal unit and external magnetic becoming uncoupled is practically zero, hence the risk of accidental disturbance of aquarium substrate and potential harmful sedimentation/abrasion is also greatly reduced. Inspection of squirrel cage impellers and bushings revealed almost non-existent wear after months of continuous use, and this was with suspended fluorescent pieces of plastic used in visualization of water movement being pulled and pushed through the motive portions of the pumps. At the time of this writing, Maxspect does not offer foam filters to filter water of larger debris before it enters the pump volute. This is just as well, as testing of competitor’s foam filters found them to clog with debris/bio-growths which could greatly reduce pump output. 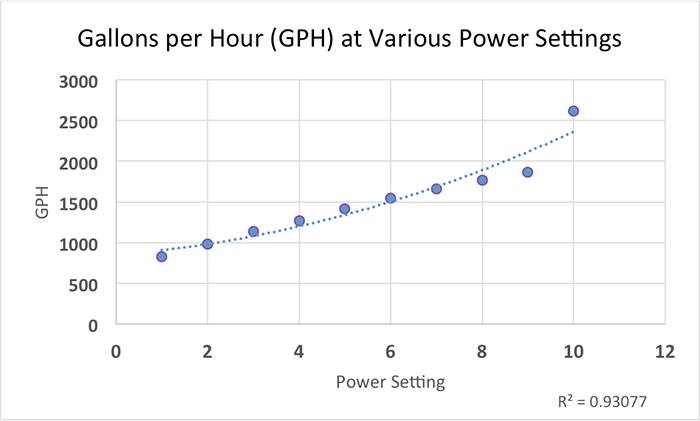 Power usage is quite reasonable, thus ongoing operational cost is low. Here in Hawaii, where electricity cost is outrageous at over 50¢ per kilowatt, monthly power cost (at maximum pump speed) is about $7 U.S. per month. 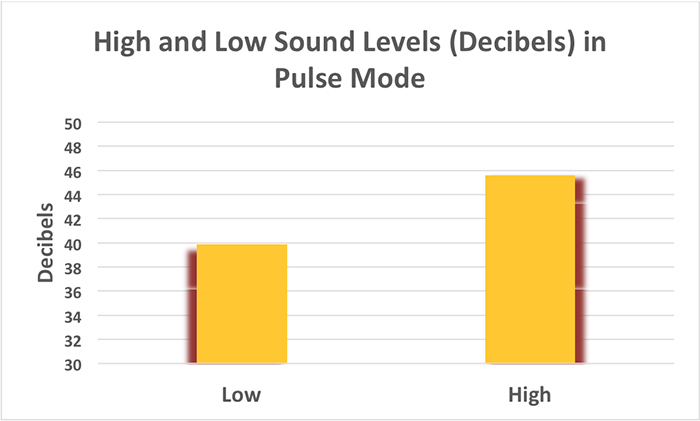 Noise and vibration created by the device is not much of a distraction in most environments, although sound will be noticeable if the aquarium is in a bedroom, especially if the pump is programmed to ramp up to full speed in Pulse Mode. The possibilities of creating various flow patterns is almost unlimited considering combinations of pump speed, pulse duration, reverse flow, and rotors. If these comments appeal to you, then perhaps the Gyre XF-130 is your right choice. 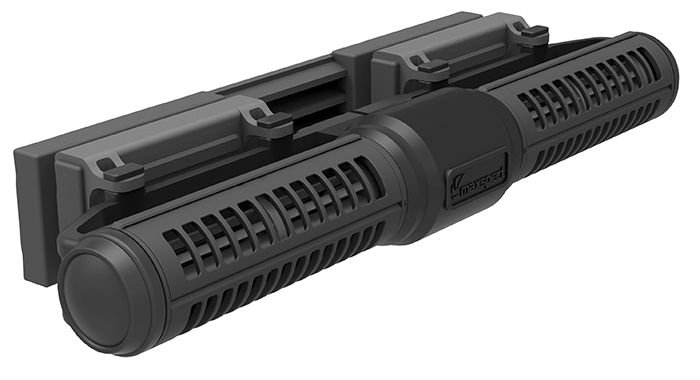 Certifications Maxspect has made a real effort to get their product to conform to US and European standards. This device has an Underwriter’s Laboratory (UL) stamp of approval for the US and Canada. It also has the Restriction of Hazardous Substances certification (RoHS – sometimes called the ‘lead rule’ but restricts products’ content of lead, chromium, etc. ), as well as the European ‘CE’ mark. Warranty Maxspect warrants this product to free of defects for 1 year from date of purchase, and will repair or replace the device at its option. Warranty work for many customers is performed at CoralVue’s U.S. facility in Slidell, Louisiana. Spare Parts The XF-130 comes with a full spare set of impellers, volutes, and bushings. If necessary (and it wasn’t during months of testing), a complete line of spare parts is available for order online here. At the time of this writing, Gyre pump parts is listed on page 20 of the Owner’s Manual. Items likely to show wear after long periods of use are the impeller bushings, which are available for $3.00 each at the time of this writing. Factory Pre-testing Maxspect advertises that each Gyre device is tested in water before leaving the factory. Comments? Suggestions? See me on Facebook or email riddlelabs@aol.com. For Product Update Information visit Maxspect’s website.